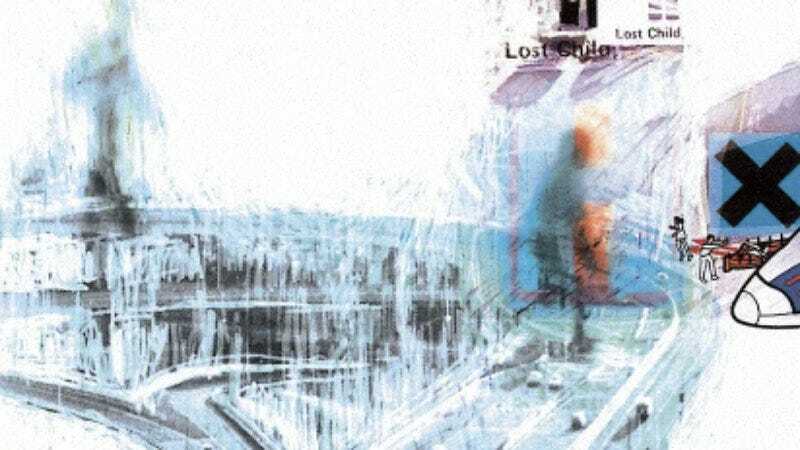 OK Computer’s vision of distant, sad people endlessly traversing paved corporate transportation hubs remains one of the late-’90s most enduring cultural documents, a dystopia defined much more by ennui than authoritarianism. Its artwork, made with longtime collaborator Stanley Donwood, captured this perfectly, creating a sort of icy netherworld of mannequins, instructional pamphlets, and terrified cries for help. One of the most exciting elements of the upcoming 20th anniversary re-release is the promise of expanded and unreleased artwork, which still seems full of secrets two decades later. Took about 10 minutes. The middle BGS [Big Green Sign] has a two word control city with just a single letter as the first word. The BGS on the right has a two word city but two actual words. I figured that it was east of the Mississippi because of the (IMO) tight footprint of the interchange. So what interstate junctions in the east might fit the that BGS criteria? E Hartford and New Haven. Jordan117 has even hypothesized the date on which the photo was taken: August 20th, 1996, before one of Radiohead’s last concerts before heading back to England to record OK Computer. Their next feat will presumably be finding the exact traffic stop full of tired, sad Americans quietly attempting to go home after work where Thom Yorke’s faith in humanity was shattered entirely.